After FC Barcelona officially unveiled the team's blaugrana shirt for next season, the only question left unanswered was: how do the players look while wearing it? And the answer is right here. The new shirt, which is being sponsored by the Japanese e-commerce firm Rakuten, will go on sale on June 1st. 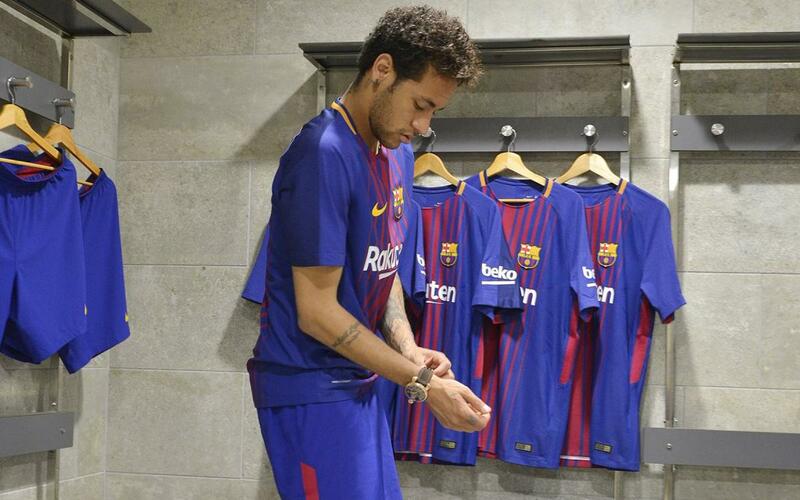 But before Barça fans around the world get their hands on this hot, new item, the players themselves had the chance to get sized up and don the new kit for an official photo shoot. Thus, the first kit of three has been offically unveiled for the 2017/18 season, during which the team will also have a new head coach, Ernesto Valverde.